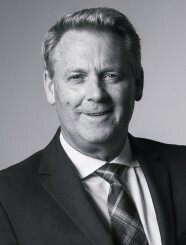 Mr. Fergusson has over 30 years of experience in the creation of businesses, the acceleration of corporate growth and global mergers and acquisition. At Generational Equity, he is based in New York where he leads the firm’s expansion across the Northeast region of the United States and Canada, and the cross border international M&A practice. Prior to joining Generational Equity, he was the Co-CEO and President of The M&A Advisor. From the firm’s offices in New York and London, he was responsible for leading the global think tank services: market intelligence publishing, media, event and consulting, for their constituency of over 350,000 corporate finance industry professionals. Mr. Fergusson is a respected speaker on the subjects of financial services and corporate innovation at prominent educational institutions such as Cambridge and Columbia, and leadership assemblies including the World Economic Forum at Davos and the World Bank. Mr. Fergusson is a frequent contributor to major media organizations including CNBC and Bloomberg and is the editor of 5 annual editions of “The Best Practices of The Best Dealmakers” series with a readership of more than 500,000 in over 60 countries. Prior to joining The M&A Advisor in 2010, he conducted over 25 acquisitions as an investor and was credited with executing some of the leading consolidations in transportation and recreational services. A pioneer in cross border mergers and acquisitions between the United States and China, he was recognized with the 2017 M&A Leadership Award from the China Mergers & Acquisitions Association. Mr. Fergusson is a graduate of Kings Edgehill School and The University of Guelph. Below you can explore a sampling of David Fergusson's completed transactions by scrolling right.